Make Monday your lucky day at Uptown Aces Casino with a $33 free chip loyalty token! Redeem the coupon PARADISEWEEK to claim your $33 free chip and win up to $500 if you last transaction was a deposit of $20 or more on Monday. You can also play the Ghost Ship slot with the 100% bonus and 100 free spins Monday bonus code MONDAYGHOST. Good luck! Weekly rewards hold 40x slots playthrough and $500 max cashout. Do not claim 2 free bonuses in a row. Max bet rule applies. Standard terms apply. Listed in message center as of 4/15/19. Game: Gemtopia; Weekly rewards hold 40x slots playthrough and $500 max cashout. Do not claim 2 free bonuses in a row. Max bet rule applies. Standard terms apply. Listed in message center as of 4/15/19. 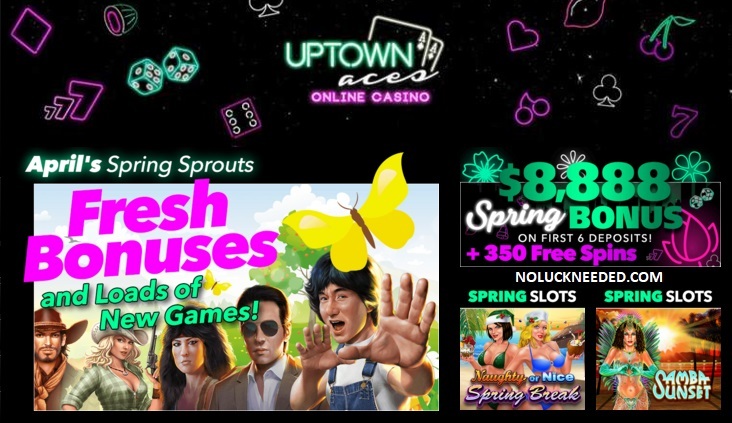 Claim Your $33 Monday Free Chip at Uptown Aces Casino!